The first 4 to 6 weeks are usually a period of transition during which the children become familiar with the routine of getting to school on time and accustomed to the pace and expectations of the school day. Their ability to cope will look different at each age. At any point during this time it is common for a child who appears to have settled in comfortably to suddenly express feelings of resistance to going to school. This is a phenomenon teachers often refer to as ‘the end of the honeymoon period’. The best solution for parents is to acknowledge their child’s feelings. Try to redirect your child’s attention with a coping mechanism such as looking for a special book or object of interest (a shell or rock) to bring to school for the teacher to share with the child at circle time. It is important to still bring your child to school on time as usual. This process is definitely harder on the adult than the child, who will quickly return to their happy self when the parent is consistent. It is during this time of the year that teachers begin to talk about the normalization of the children and the classroom. This concept is often misunderstood, especially in this era of politically correct labels. It is the beauty of the Montessori materials and the lessons given with gentle guidance by the teacher that sparks an intense interest for the children to engage in and repeat the activities they have been shown. This cycle of repetition and the new focus and concentration the children develop leads to an inner discipline and a feeling of purpose. 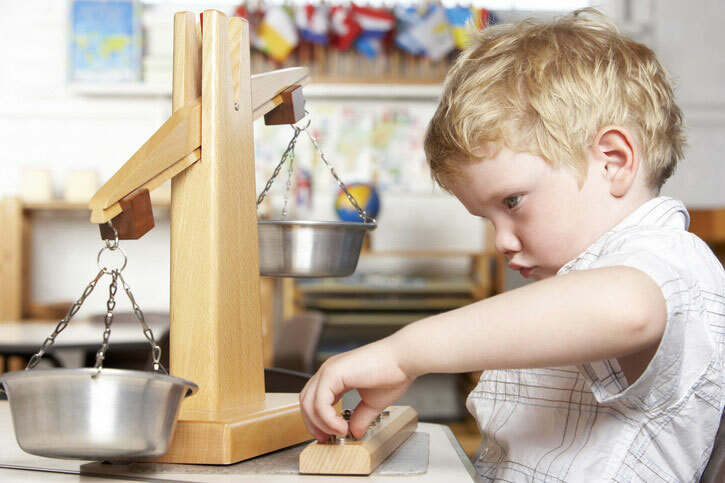 Maria Montessori observed this process that takes place in the child and called it “normalization.” The child’s environment spontaneously meets the needs of the child and the child appears to function in a balanced and normal state. 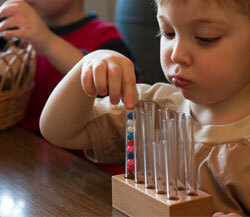 Blog, Montessori Education, Montessori Methodology montessori, Normalization. permalink.